L.C. Cruell is the writer of numerous multiple-award/festival-winning feature screenplays, pilots, and shorts and the writer/director of award/festival-winning short films, critically-acclaimed web series, with a feature in-progress. An Honors graduate of Duke University and Harvard Law School, Cruell is also a published author of 25 short stories, film critic at multiple publications, freelance writer/editor, entrepreneur, and member of WIFTA, SFWA, Mensa, OBS, and a NATPE Fellow. She has shorts currently in production with an international list of directors, is in development on features “Mistresses of Horror” and “Crimson” and pilots “31” and “Neph,” is in pre-production as the director on projects “Flesh” and “Pallas,” and is in post on “I Need You.” L. C. is represented by Bob Myman of LA entertainment firm Myman Greenspan. She awakens, trapped, alone, imprisoned in darkness with no memory of how she got there. She will have to risk everything to escape. But, if she does, will she find the world beyond her prison even more terrifying? Critically-acclaimed, popular, groundbreaking web series “31” is a supernatural thriller told in 31, 31-second-long, cliffhanger episodes. As perhaps the first true daily Internet Horror Serial it has amassed hundreds of thousands of views and fans throughout the world and branded the concept of the micro-series. With dozens of rave reviews 31’s success has lead to YT partnership and 6 non-exclusive distribution deals. 31 has since been selected to and won festivals leading to its big screen premieres in both the US and Europe and soon in Mexico. A pilot version is in development/talks that takes the questions touched on in the series to the next level. Q. Were you a fan of sci-fi and horror as a child? A. I have always loved movies and books, especially sci-fi and horror. In those genres, anything is possible; any what if can be explored and explored in ways that come at the question from odd, view-challenging angles. My favorites were always the stories that would leave you unable to sleep pondering the questions of – what if we, the universe, the world, etc. worked that way? So, of course, I had to start writing my own. Q. How did you start writing? A. I grew up in a small, close-knit Southern town in the country, quite literally the granddaughter of a sharecropper. I graduated as the first African-American Valedictorian from my high school and went to Duke University on a full academic scholarship. There I studied everything from history to film to engineering and studied abroad in Europe, graduated with a double major and minor on the Dean’s List, and then tried to figure out what to do with my life. So, there I was that summer writing and publishing short stories (all of my short stories are sci-fi, hopefully I’ll get around to putting them in a “Cruell World” collection someday), doing local theater, while applying to grad schools. Much as I love short stories, I realized I saw everything as movie scenes anyway, and, though I do want to write a novel someday, film was my draw now. I was accepted into USC’s screenwriting program and into Harvard Law School. As it happens, it’s hard to say no to the fat envelope from Harvard when it comes down to it, so there I went. I focused on Entertainment and Corporate law, graduated with honors, and eventually wrote Crimson (Vampires in the Ivy League) a screenplay based on my time there. Q. When did you first consider yourself screenwriter? A. I was going to do law until I paid off my student loans then take the screenwriting world by storm, but life has its own time line and a fatal illness in my family changed everything. I practiced law on a per contract/case basis to have time to be with my family and put everything I went through into my writing. It’s about here I honestly feel like I can say that I became a screenwriter. I won contests, festivals, grew as a writer, got things optioned, sold, shot. But there is a wall to getting into Hollywood from the outside higher than I would’ve believed. Talent and tenacity is apparently not enough to open the doors sealed, bolted, and welded shut from the inside. It’s a hard climb and if you are African-American or a female, especially in these genres, you don’t have a whole lot of believers or supporters. If you are both, yeah, you can imagine the looks of shock when you do get in the door. But persist, keep writing, and, at some point, get things on film. It’s the need to do the latter so people could actually see my work that got me into directing. Q. When did you decide to direct? A. I never wanted to direct. I’m probably the only person I know who directs to be a writer and not the other way around. But I started with a super short “Why I’m a Dogperson” (http://www.youtube.com/watch?v=GwezMubJHZU) (first of a series, even though I’m a catperson), realized I could do it and went from there. Then came my web series “31” which led to critical-acclaim, actual fans, 6 distribution deals, and international festival selections and wins. Do not ever let anyone tell you something is impossible because you don’t have money. I made 31 for $390 because I worked hard to make a strong script and concept that would make people want to be a part of the project and shot it outside of LA. Never let money, the doubts of others stop you if you believe what you are doing is something you must do. Next came “I Need You,” first feature currently in post, and now “Flesh” and “Mistresses of Horror” in pre-production, along with several other feature scripts and a constant stream of shorts I’m working to find homes for. So now I’m that rarely spotted creature (we’re out there just rarely highlighted) the African-American Female Writer/Director of the supernatural, horror, and sci-fi. Chose an easy path in life didn’t I? Q. What other projects are you involved with? A. We are now in development on a television pilot for “31” that takes on all the questions and possibilities hinted at in the web series. 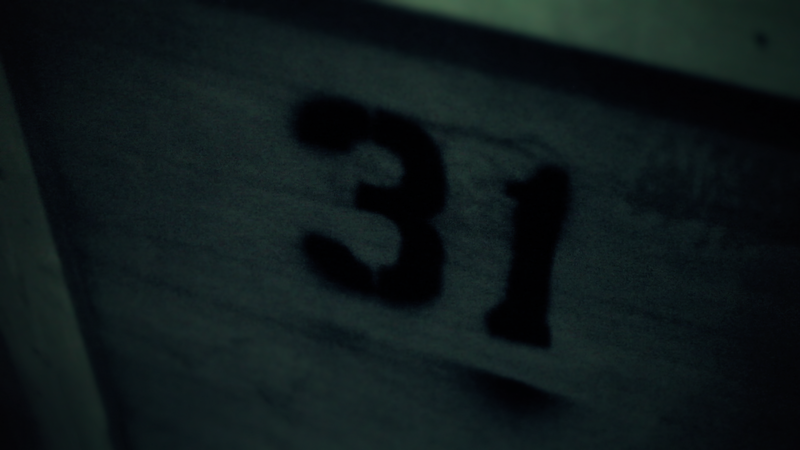 Fingers crossed that you will soon see the full story of “31” on a small screen near you soon. Feel free to voice that desire by liking us at https://www.facebook.com/31theseries. Other current projects include “Tales From Morningview Cemetery” a feature anthology from 4 southern writer/directors (myself included of course) currently in post. “Seekers,” “In Nomine,” “The World’s Worst Horror Movies,” and “Through a Glass House Darkly” optioned and in pre-production. “Flesh,” in pre-production with Morning Star Productions and producer Najma Cade, with myself on to direct. “Mistresses of Horror” is an all-female written and directed horror anthology feature I created (and wrote a part or two of) underway with a great horror producer. Other features, “Crimson,” “Last Call for Angels,” “The Guardians,” “Lizzie,” etc., dozens of shorts (I write a lot) and pilots “The Four” (4 losers discover they may be destined to be the Four Horsemen of the Apocalypse) and “Neph” (the last 6 Nephilim (human/fallen angel hybrids) struggle to survive in a world where both good and evil see them as abominations) are all being marketed and can be found on my website. Current scripts underway include features “Samarra,” “The Sitters,” “The Loft,” and “The Certainty,” pilots “Salvation” and “Country Girls” and about a dozen more shorts. And I am always looking for new producers, directors, and actors to work with in this incredibly exciting world of genre filmmaking. ~ by Sumiko Saulson on April 15, 2014. Good interview. Mistress of Horror sounds great.